Easter 2019 is a great time to invite people who need Jesus to church. Use invite cards available at our welcome desk or church office. Use social media to invite people. Take a picture of the worship folder and include a message inviting friends to join you. You can also invite friends to the Easter Musical Maundy Thursday and Good Friday. If you are ready to follow Jesus or have come to know Him and are His disciple then the next step should be baptism. Learn more about baptism and sign up to be baptized this Easter Sunday. Ask the Lord to give you one specific person who you will pray for and be ready to share with as the Lord directs . . . especially over the next 30 days. Record the first name of your ONE HERE. Frank and his wife Terri have been at King's since 2006. 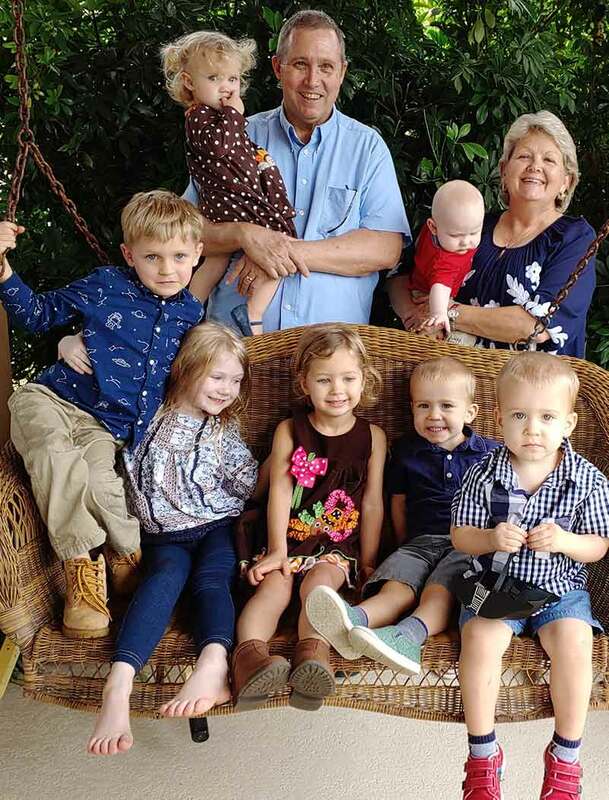 They have three married sons and most importantly, nine wonderful granchildren.